Good stuff M, I'll look out for this one because I do like the Ghiblis... What I love about their films is the completely immersive environment they create for the 90mins or so. Must dust off my copy of Spirited Away for a screening. The last Japanese anime I saw was something called Paprika, a nice slice of mind-bending sci-fi. There's a good UK Blu-Ray. Thanks Wes, the immersive environment you mention is certainly present here. 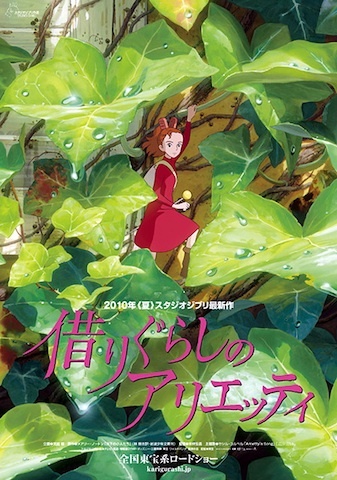 Do you have favourites from the Ghibli catalogue? Yes the Paprika blu ray is excellent stuff, I've just ordered Summer wars and The girl who leapt through time on blu from Zavvi for £6.85. They are both great, if you are looking for more anime to see! I love Miyazaki's films. To my opinion, they are superior to any Disney or Hollywood animation I have seen. 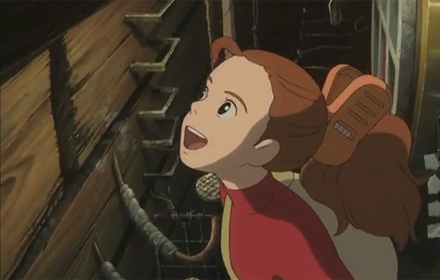 The beauty of Miyazaki's films is that they don't talk down to children. They respect their ability to grasp ideas. Two of my favorite all time films are Miyazaki films: "Nausicaä of the Valley of the Wind" and especially "Laputa: Castle in the Sky". Utterly brilliant. Words cannot do it justice. If you haven't seen those films, you MUST see it. Both great films Anon. My personal favourites are Porco Rosso and Princess Mononoke. Yeah, and the fact that Miyazaki concentrates on telling a great story with interesting characters first and foremost. What a contrast to the usual priority in today's animation: trying to sell as many toy or video game merchandise like so many Hollywood movies. Now in fairness, some of the Pixar's films are pretty good, but they pale in comparison to Miyazaki. He is the master of Japanese animation, no question about it. He really can feel you with a sense of wonder and longing. When was the last time a American animation can evoke that feeling? I'm very enthusiastic about this, and your review enhances my feelings. My Ghibli favorite is MY NEIGHBOR TOTORO, SPIRITED AWAY, NAUSSICA, and PORCO ROSSO. I enjoyed WHISPERS OF THE HEART, too. A little gem. Excellent review, and Wes's "immersive environment" observation is astute. 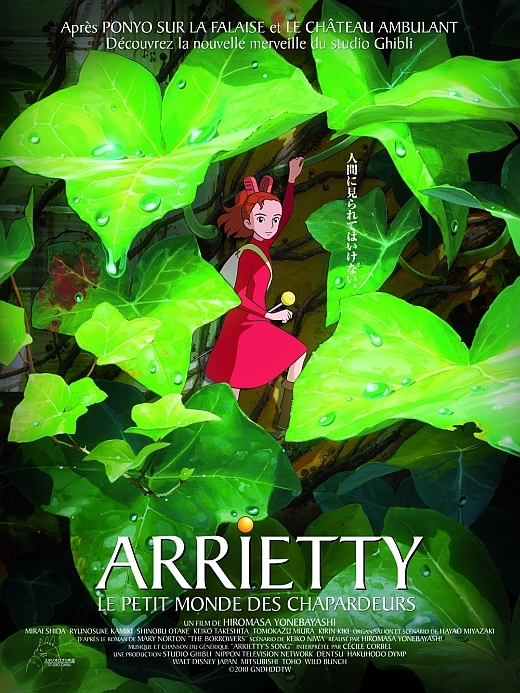 Agree with your assessment that "Arietty" is not top tier Ghibli but still pretty watchable. 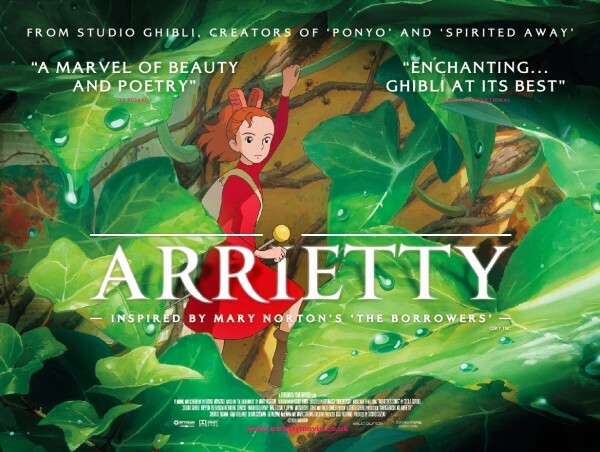 Also that "Arietty" is very recognizably a Studio Ghibli film. OTOH, am not completely sure that "Ghibli has a director who can carry the torch when Miyazaki stops working." Granted that Hiromasa Yonebayashi shows promise -- and Isao Takahata definitely has his fans too -- but for me, the best Hayao Miyazaki films are unsurpassed in their charm and movie magic. Thanks Phantom, if you haven't already you should check out Wes' blog Plutonium shores, it's great stuff! Your Ghibli choices are excellent, all truly great movies! I haven't seen Whispers yet but I do have it to watch. Hi YTSL, I think the greatest strength of Arrietty is the strong direction, and although nowhere near Miyazaki level as yet, Yonebayashi could well be our best hope for the future of Ghibli. Again, excellent choices of favourites, in particular I'm really pleased to see Porco receiving so much love. Totoro would have been my next pick behind Mononoke and then Spirited Away. Even mid-tier ghibli films are usually miles above anything else. I'm curious! 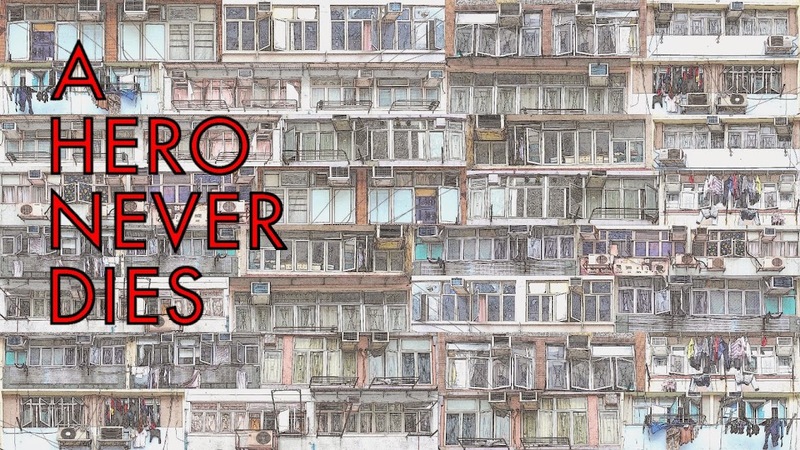 I'm glad you like Porco Rosso as well, as that's one of my favourite ones. The fist fight at the end could easily be placed in a top ten list for best fight scenes of the 1990s. In my books anyway. A. I just love how old fashioned Porco Rosso is, and yes the fight scenes are awesome. They remind me of the fight in They Live, I wonder if Carpenter had seen it.